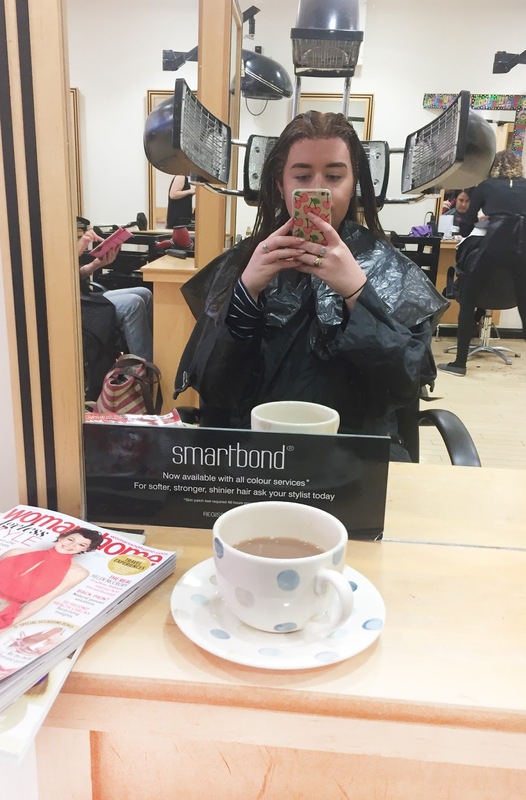 If you've been following my blog for sometime then you'll probably know that I have been dying my hair brunette for a number of years now, and over the years my hair has become more and more damaged through bleaching, over dying and of course the sun. So when I was recently contacted by Regis Salons to try out their new Smartbond treatment I couldn't pass up on the opportunity. 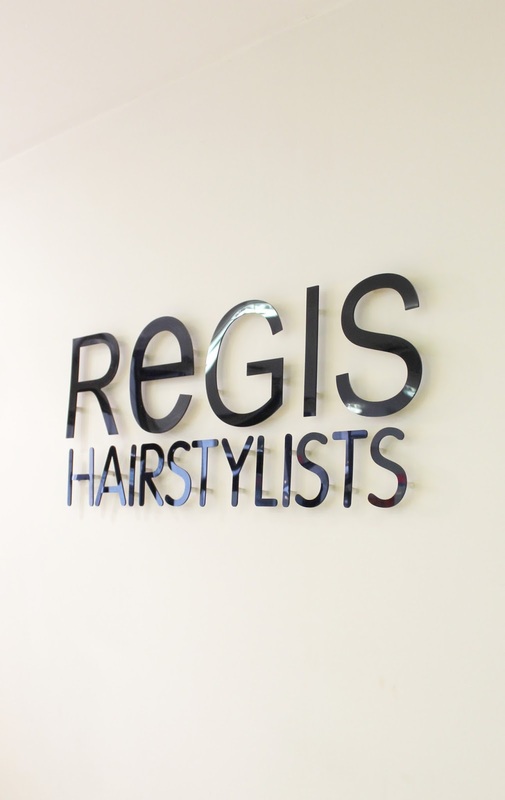 Regis Salons have recently introduced L'oreals renowned Smartbond technology into their salons, which is designed to protect the bonds in hair whilst the hair is being bleached or coloured, as typically those natural bonds within your hair become damaged and over time weaken during bleaching or colouring. The Smartbond technology is different to other treatments such as Olaplex as it is added into your hair colour, and works to protect the hair bonds whilst the colour is doing it's work. Being someone who can openly say that their hair is damaged through bleaching, dying and not getting my hair cut often enough, this treatment sounded absolutely amazing to me and something that I instantly knew I wanted to try out, as I am always looking for ways in which I can improve my hairs overall quality and condition. I headed down to my local Regis Worcester Salon this weekend just gone for my appointment, but prior to that I had to pop in for skin test (which is required with anyone wanting to have the Smartbond treatment) where I also had a quick consultation with the hair stylist Katie, which was really nice as she could get a feel for what I wanted and could prepare in the run up to my appointment. On the day we again recapped what was discussed and Katie had a good look at the overall condition of my hair, which is where we discovered that I had a few different bands of colour running through my hair due to having my hair stripped last year and from having my roots touched up over the years. So from this we decided to mix two different tones, to help even out the colour but without it going too dark. With being a natural red head my roots were in need of some TLC, so Katie started off mixing up my colour and adding step one of the Smartbond treatment into my colour and then applied that to my roots, leaving that for ten minutes and then applying the colour to the rest of my hair and again leaving the for another ten to fifteen minutes before then rinsing the colour off. She then applied step two of the Smartbond treatment to my hair, a bit like you would a hair mask and left that on for ten minutes to work its magic. This was then washed off, and my hair was then cut and blow dried. Overall I am really pleased with the final results of the colour of my hair, as it's more even and the banding has been completely evened out and although the colour is slightly darker than it was before it still has some lovely tones running through it that I absolutely love. 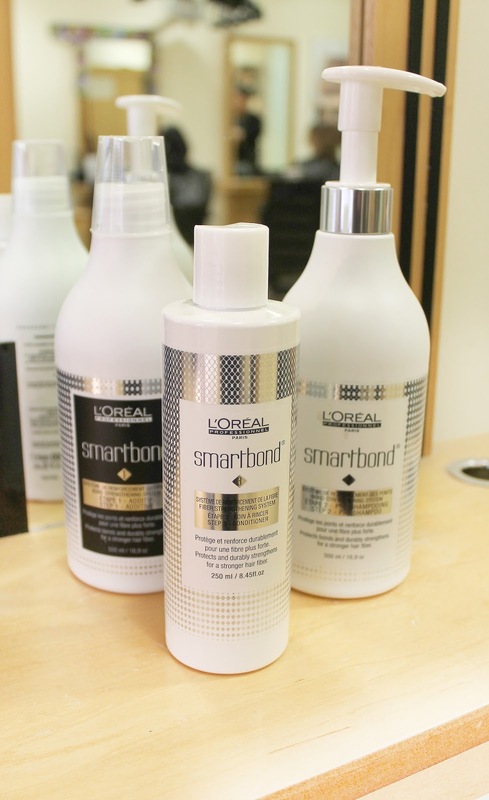 As for the Smartbond treatment, my hair feels incredibly soft and almost feels as if the damaged areas have been repaired. It also has a lovely shine to it that it has lacked for such a long time, and it is looking really healthy especially after having a much needed cut also. I also got some great advice from my hair stylist Katie, which I'm really grateful for and will begin applying into my haircare routine. 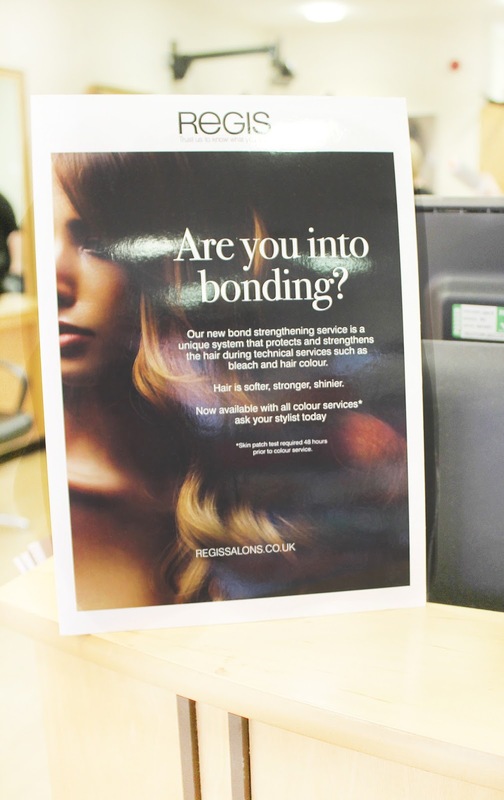 If you're wanting to try out the new Smartbond treatment, then you can find out more info here and to find your local Regis Salon. 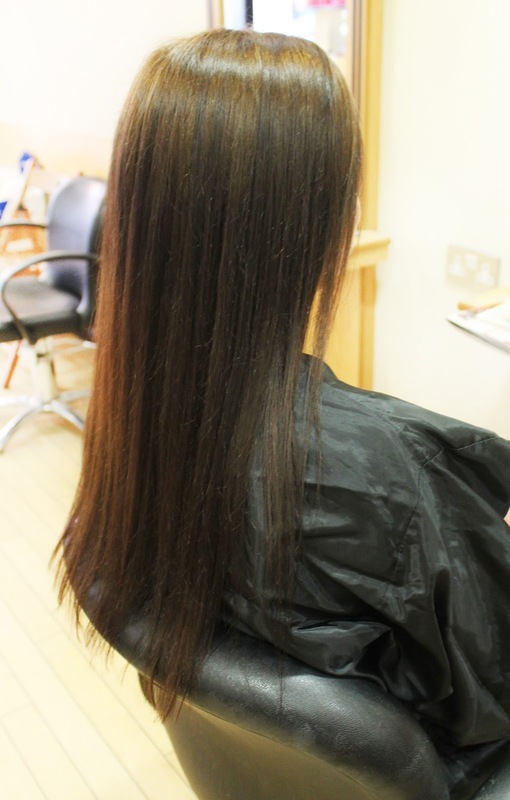 The treatment itself costs an extra £5 when having any colour services, or costs £15 as a stand alone treatment. 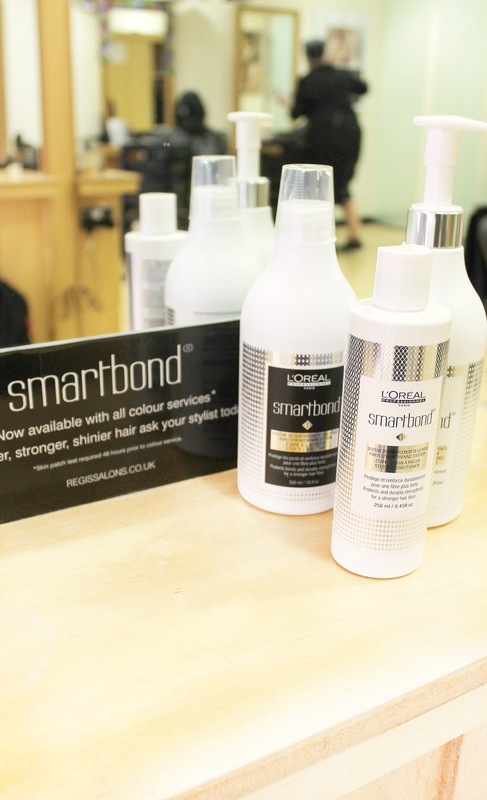 The Smartbond treatment also has a step three, which you purchase on top of having the in salon treatment to continue at home, which is designed to be used weekly to help strengthen the hair in between colour treatments. Have you recently had your hair coloured? *This post is not sponsored, but I was given a complimentary colour and Smartbond treatment courtesy of Regis Salons.